Developed by a home schooled 19-year old garage hacker, Palmer Lucky, created Oculus Rift, a virtual reality 3-D headset that uses 360-degree head tracking to make it feel like you’re inside a different world. For example, looking to the left or right will automatically pan the scene in either direction, making it feel as natural as looking around in reality. The eyewear also provides parallel images for each eye, which is the same way your eyes perceive images in the real world. Facebook recently acquired Oculus for $2B, yes that’s B as in BILLIONs, recognizing it had many untapped applications when it bought the company. Still don’t understand? Here is a horse riding experience video. We’ve all either read or heard about the Harley-Davidson Fit Shop where the local dealer will take you through a step-by-step process literally seating you on a bike and switching out components such as seat, handlebars, suspension and foot controls until they find a combination that fits you. But, if you’re very early into the motorcycle “consideration” purchase phase and unsure of riding or unclear about the whole motorcycle lifestyle thing, what then? That’s where the Oculus Rift could be leveraged. 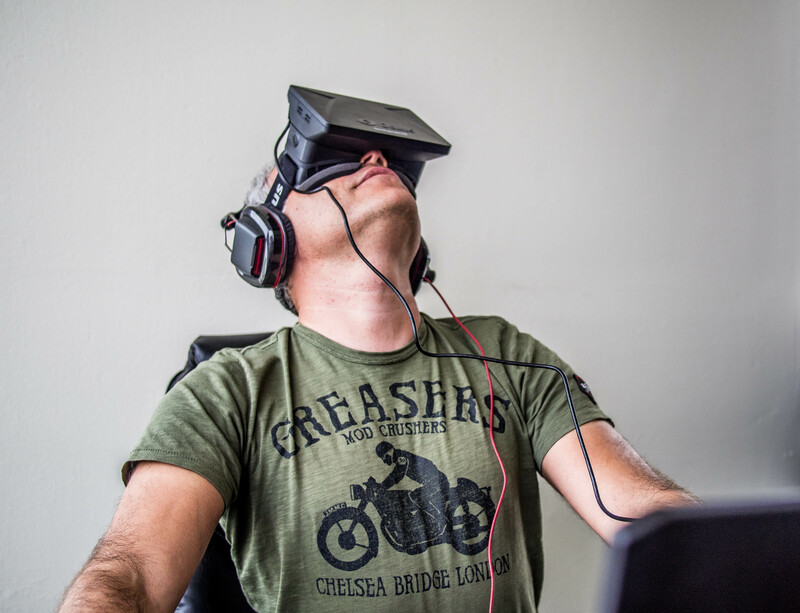 It was made specifically for gaming when it was initially introduced, however, people are using the headset to drive tanks in the military and medically explore the human body, among other fascinating applications. I’m sure I’ve sparked some interest or debate as to whether Harley-Davidson could really use the technology to good effect. H-D could surely leverage the technology to provide consumers who are unsure if they want a motorcycle, have little knowledge about them or the experience and not sure what kind to purchase. For some enjoying luxuries that are unaffordable in the real world, this might be just the ticket to spending time in a riding (virtual) environment. For grins, let’s call it the Harley-Davidson Virtual Reality Motorcycle Simulator (HDVRMS). Potential buyers would sit on a motorcycle mock up, place the headset on, grab the handlebars and the entire system is then hooked up to a computer programmed with virtual reality riding software/content. This would be very high-quality footage in the motorcycle simulator. Think UHD/4K video. Basically, H-D would put multiple hi-rez cameras on the front/side/back of a motorcycle and ride it through the streets of Atlanta, Boston, Los Angeles or through any national park or canyon road with twisties. The footage would go to a digital film room for editing and then it would be incorporated into the computer system that would run the virtual-reality motorcycle simulator. Imagine the possibilities. Riding Highway 101 down the California coast. Drag racing your favorite Pro Stock champion would be no problem. Maybe you’ve always wanted to ride a motorcycle in downtown New Delhi dodging tiny rick-shaw’s full of banana trees. No problem, select it in the computer and go. 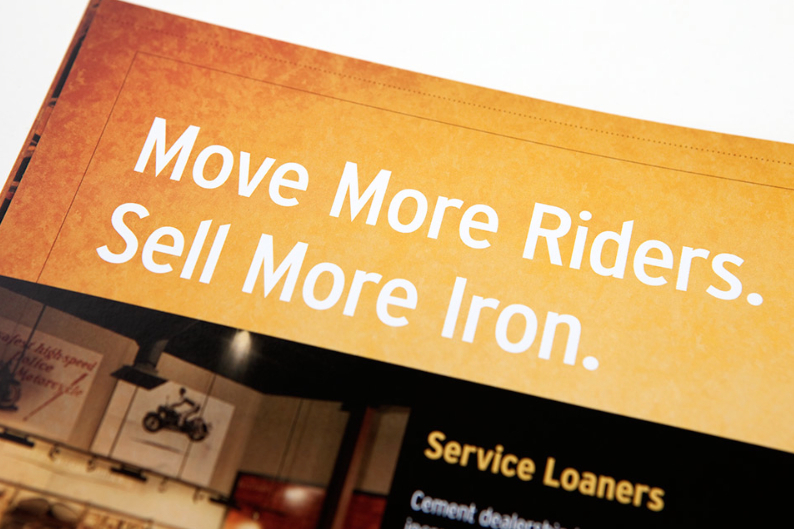 How about the potential of integrating the technology into Harley-Davidson product development? You can watch Ford’s virtual reality technology in action in this video. Essentially, VR would allow Harley-Davidson to test scenarios and designs, and experience products before they are even made. 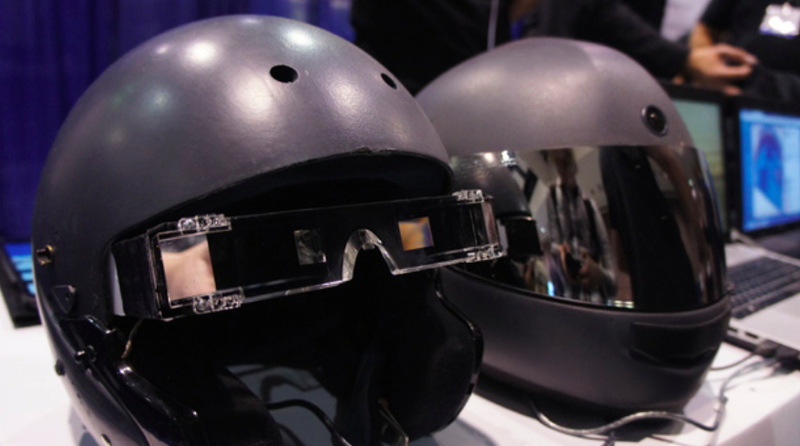 If not product development or supporting sales then there is the opportunity that an augmented reality motorcycle helmet could save your life. Young motorcycle riders could attend motorcycle training on the H-D VR simulator so that they can hone their skills and become more proficient on the street. FUSAR Technologies is doing just that on Kickstarter. Called the Guardian, it’s a DOT approved helmet with an Android board, two wide-angle cameras and bits and pieces that is fully integrated and connected to the device and motorcycle that allows the motorcyclist to have a full cognitive awareness of what’s going on around them. The one problem for Harley-Davidson? It could become so real and addictive sitting in the comfort of the dealer or your home that you actually never get outdoors to ride!